People are generally familiar with ecosystem services like pollination and flood protection. But they rarely understand they will have to pay a huge price if these services are lost. Much of the problem lies in the slow progress of scholarship in quantifying nature's services in monetary terms. 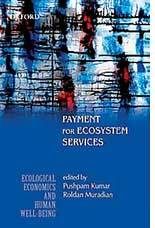 Payment for Ecosystem Services is a timely contribution in this respect. The 12 chapters discuss varied ecosystems and their services. These include wetlands, groundwater, watershed, pollination, agrobiodiversity and forest reserves. Several of the studies touch upon social factors like equity and livelihood, and pertain to developing countries. But the editors have not given short shrift to developed countries there are studies from Australia and the UK. The editors set the tone for the volume in their introductory chapter. It tackles the decline in economic value of rural areas worldwide. 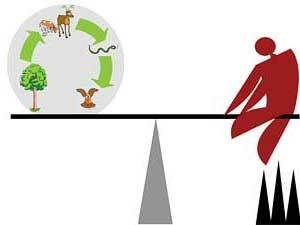 This reviewer feels that valuing agroecosystem services other than food production can help slow down the slide in economic value of rural areas. There is an interesting statistic in the chapter on pollination research in Kenya shows that only 47 per cent of the respondents were aware of the function of pollination in crop production. The authors here stress the importance of education in promoting willingness to pay for nature's services. This reviewer has some problems with the arrangement of the chapters. Since equity is not the main theme of this volume, there is no gain in having it as the second chapter. A summary at the end of each chapter would have helped. But these are just minor quibbles.